If you are an expat in this country you know how tough it can be on the job market. My good friend and fellow blogger Kathrin Deter wrote an excellent blog post on the situation for foreigners and gives valuable advise how to improve your chances for success nonetheless. 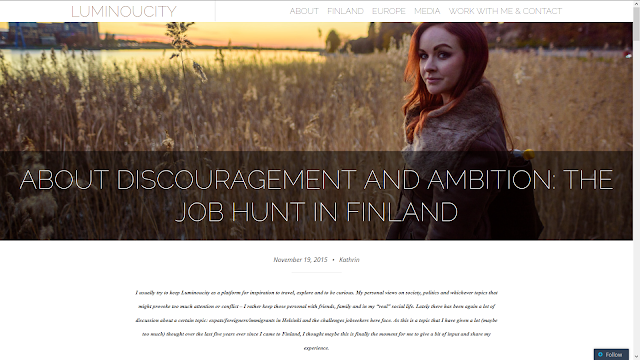 Read the whole post on her blog Luminoucity. What is your experience? Do you agree with her? Do you have other tips and suggestions? Post your thoughts and ideas on her page.